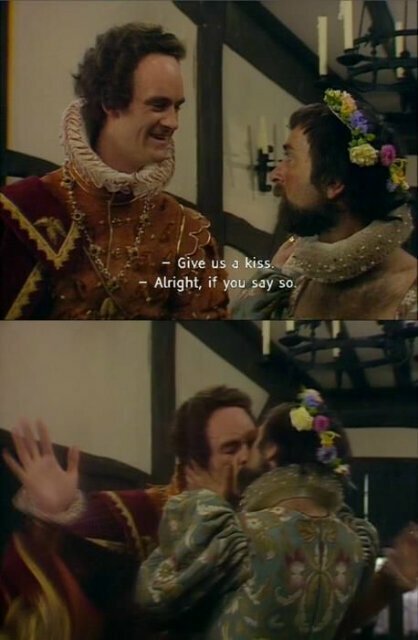 With Valentine’s Day just around the corner, we thought we’d share some of the most romantic moments in Blackadder. As you might expect, there’s a few unusual ones in there! 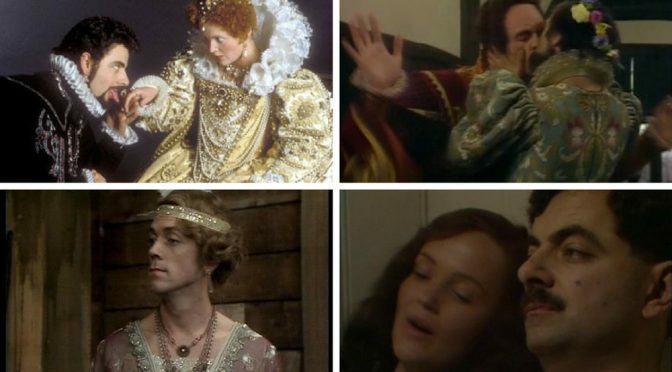 It’s soon Valentine’s Day, and we’ve put together 5 of the most romantic Blackadder moments to put you in the mood for love! Let us know what you think! In Amy and Amiability from the third series of Blackadder, Prince George has to woo the Mysterious Northern beauty, Miss Amy Hardwood in order to get his hands on some of her father’s wealth. His attempts at creating poetry are worthy of any Valentine’s Card! “From His Royal Highness, the Prince of Wales to Miss Amy Hardwood. Tally-ho my fine saucy young trollop! Your luck’s in! Trip along here with all your cash, and some naughty night attire, and you’ll be staring at my bedroom ceiling from now till Christmas, you lucky tart! Yours with the deepest respect etc, signed George. There’s a number of touching moments in General Hospital, when Blackadder hooks up with Nurse Mary. Some of the flirting for example is particularly funny. Edmund: Yes, why not? When this madness is finished, perhaps we could go cycling together, take a trip down to the Old Swan at Henley and go for a walk in the woods. Mary: Yes, or we could just do it right now on the desk. Perhaps the funniest moment though, is when Nurse Mary asks if Blackadder has someone special in his life.